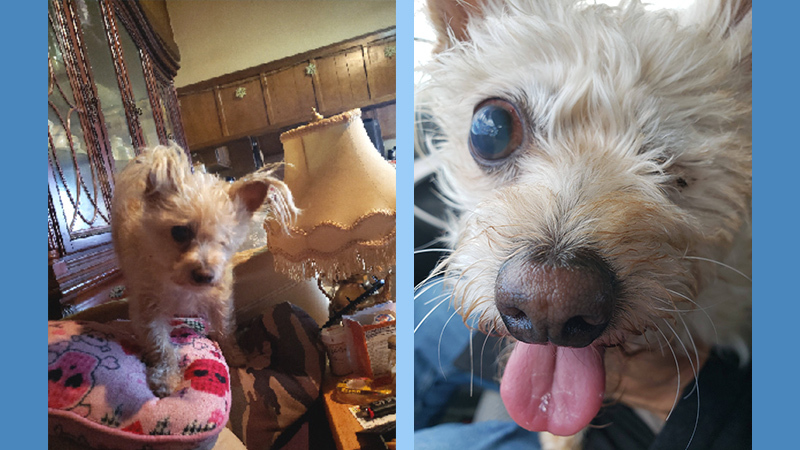 Panda has had a history of glaucoma, and last year in October donors helped her get her eye removed (see post surgery video above!) Now her remaining eye is swollen and in pain as well. 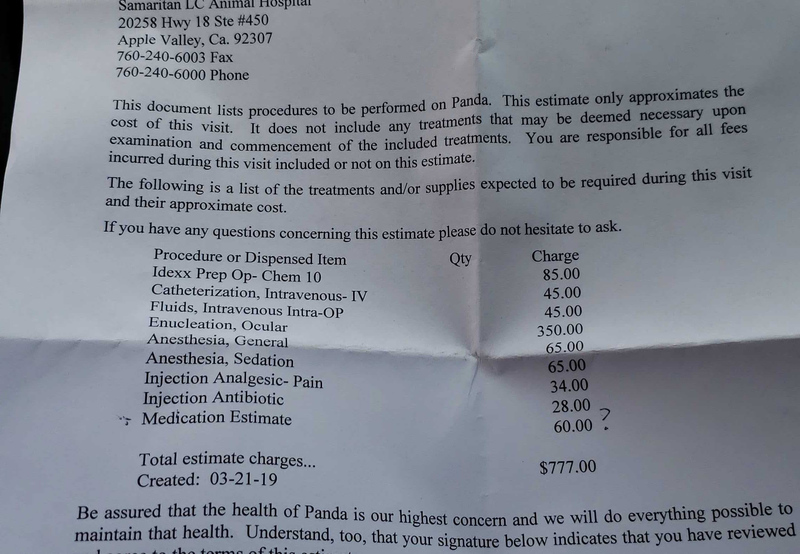 Let’s get little Panda out of pain! 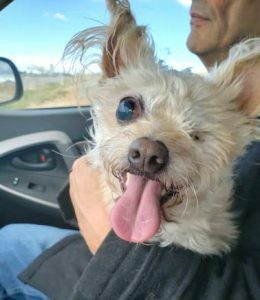 Dog’s can live full and happy lives blind, but they can’t do that when they are in constant pain. Little Panda’s eye no longer functions, but the swelling and pain are still there. 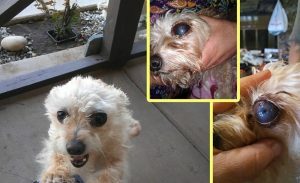 Her family has done all they can to treat her eye up to now, but it has become inevitable: the eye has to be removed. They do not have money for the surgery because they have spent their limited funds on her treatment up to now! Thank you so much Susan Grimes. Honoring the fur babies whom have been part of my family and celebrating the love Panda/you share. We can’t thank you enough Susan! You’re an angel!! Thank you to everyone who has helped Panda and a very special thank you to Susan Grimes you’ve been a godsend. 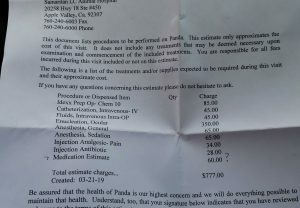 I’m taking Panda in today for surgery. 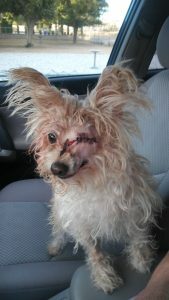 Pics will be added once i pick her up from the vet. Big hugs sent to all of you from both of us!! Hope everything turns out well ! It has. Thank you. She’s had her surgery on Saturday the 6th. I’ve got a vet recheck in the morning and she’ll get more meds. Hope everything turn…s out well ! Honoring the fur bab…ies whom have been part of my family and celebrating the love Panda/you share.